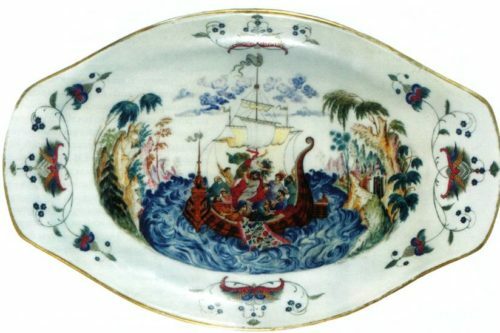 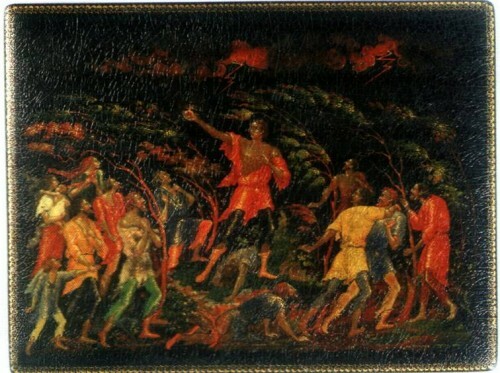 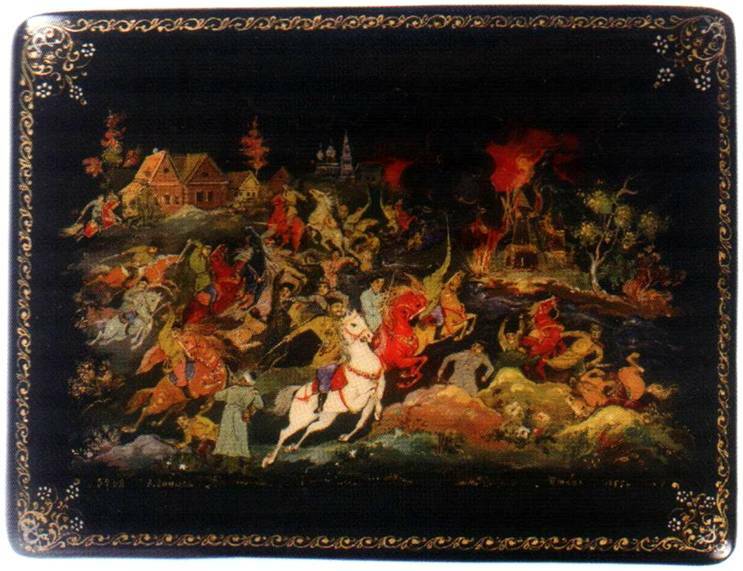 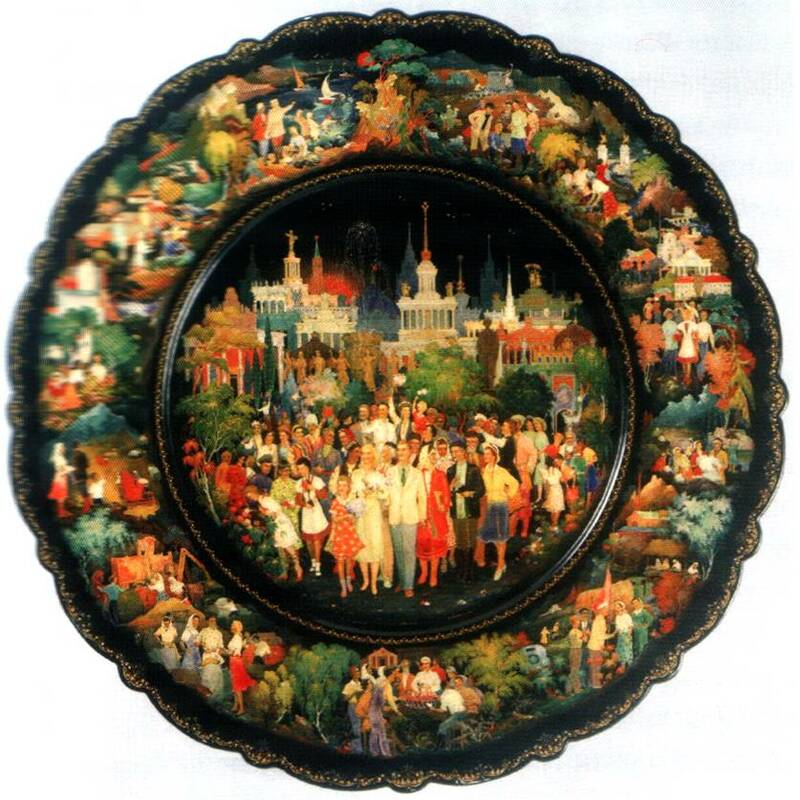 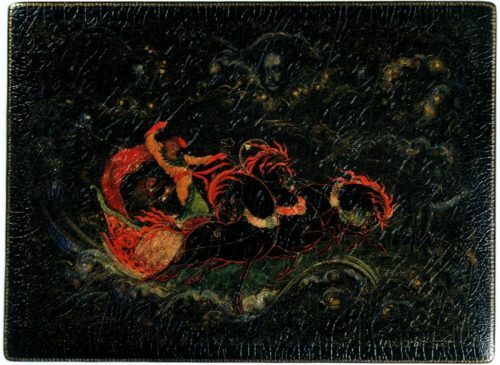 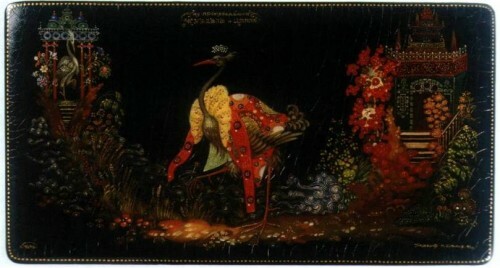 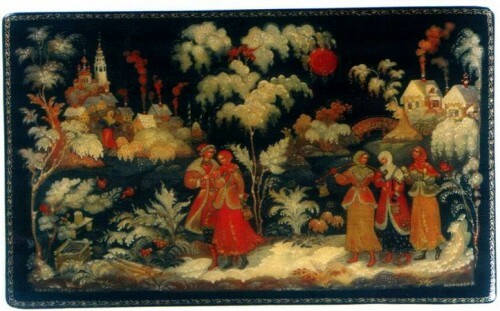 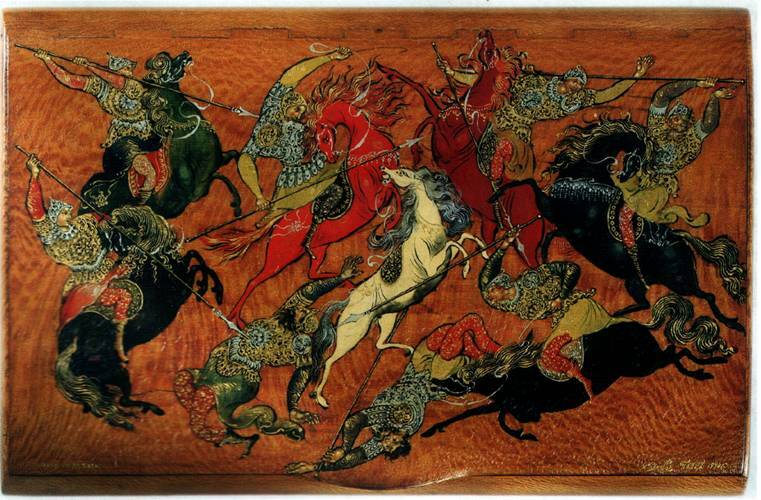 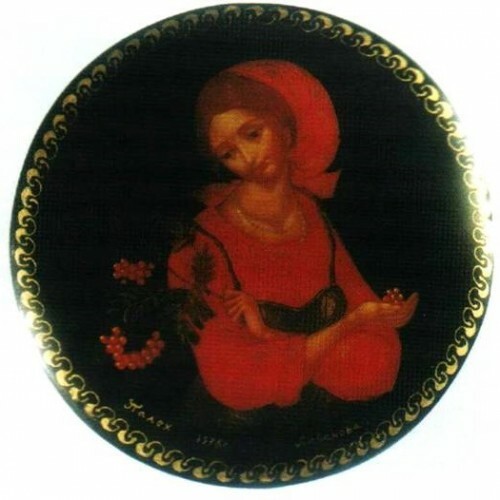 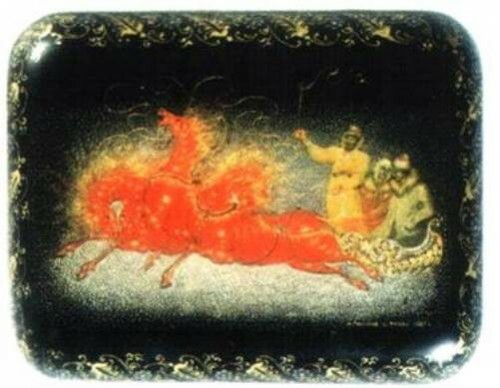 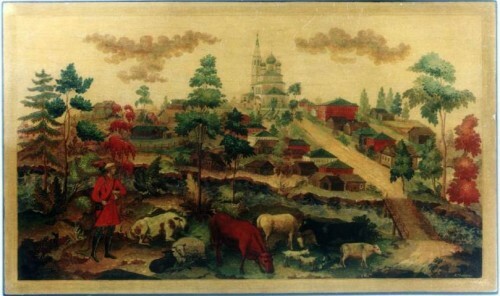 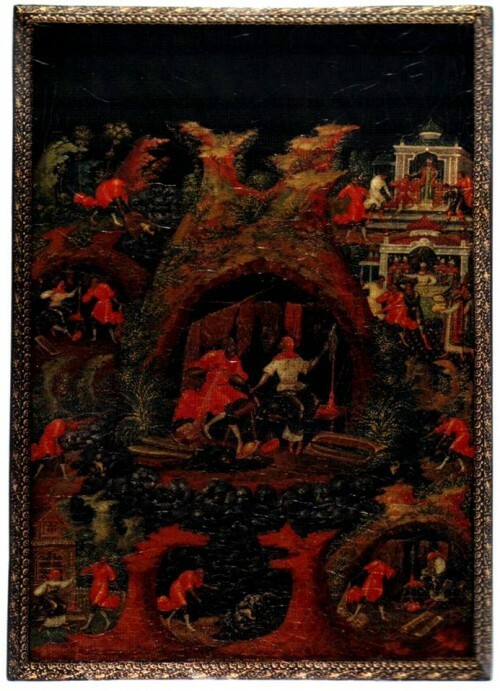 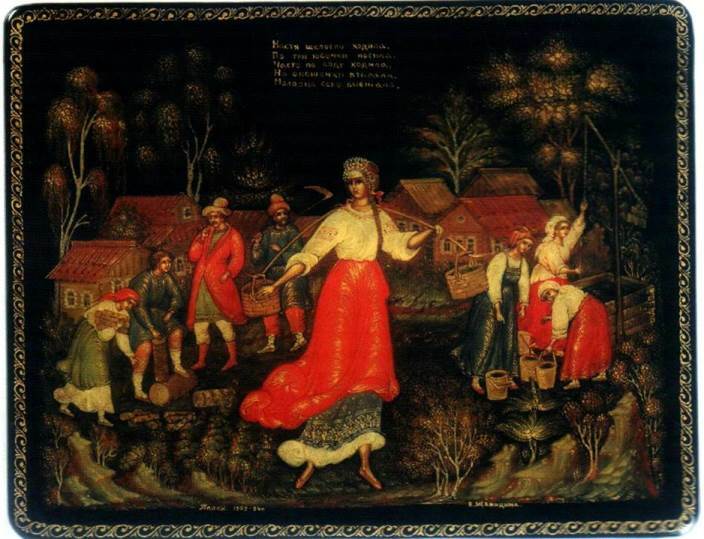 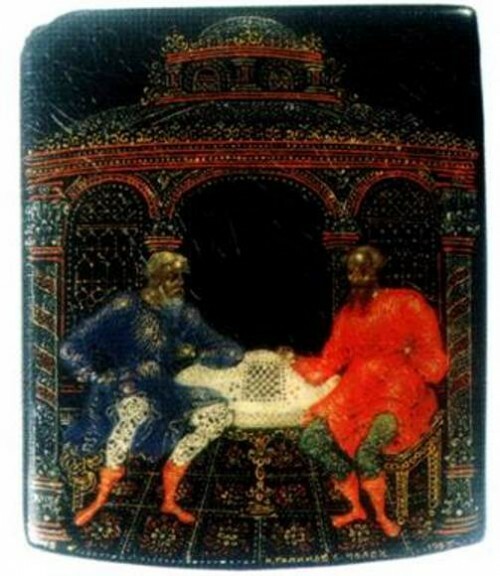 Palekh lacquer miniature – kind of folk Russian miniature painting in tempera on lacquer papier-mache (boxes, jewelry boxes, cigarette cases). 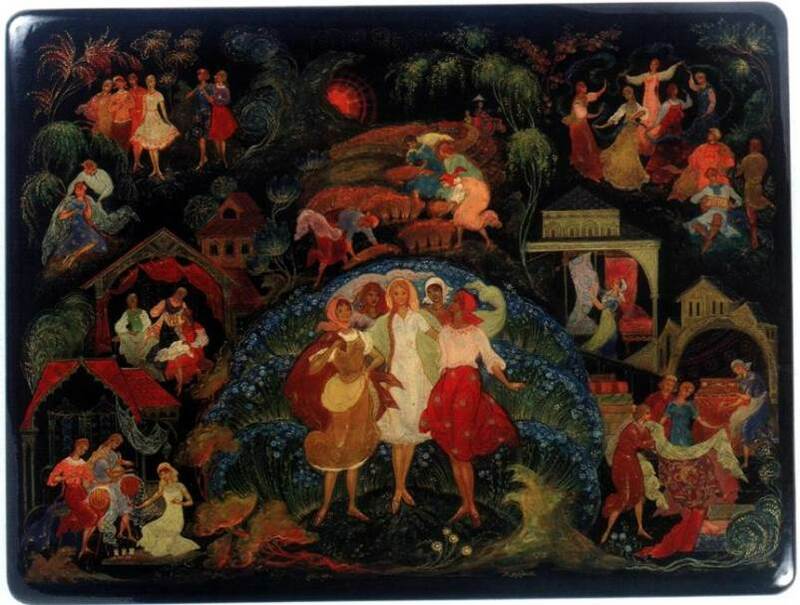 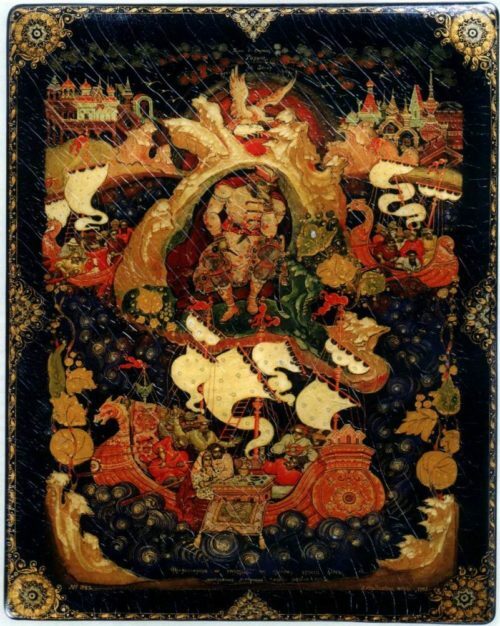 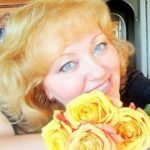 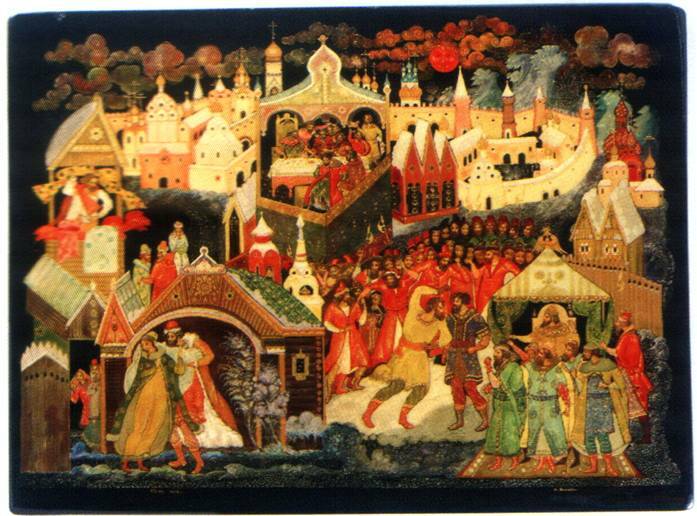 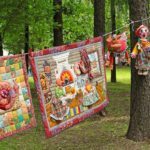 Appeared in 1923 in the village of Palekh of the Ivanovo region on the basis of icon painting. 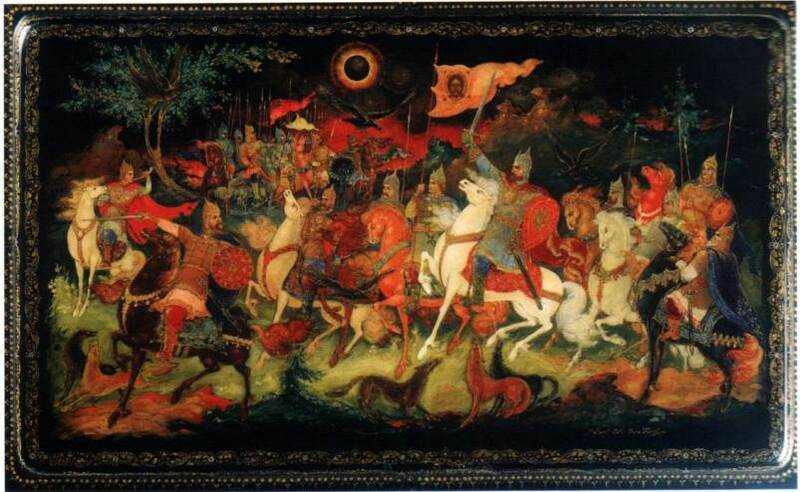 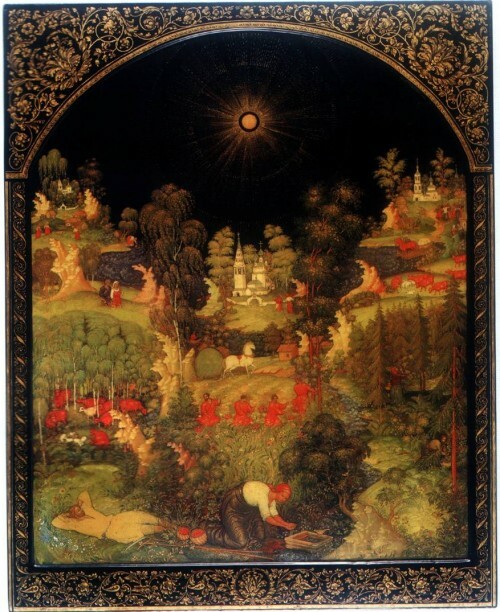 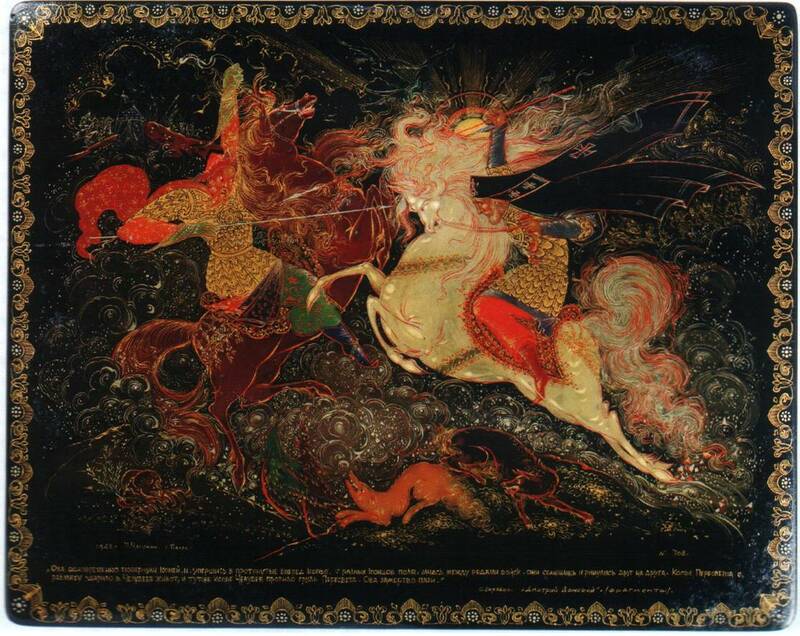 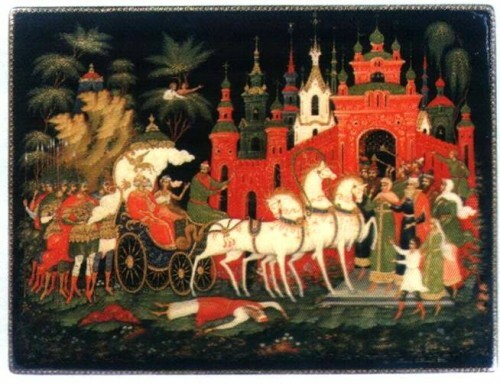 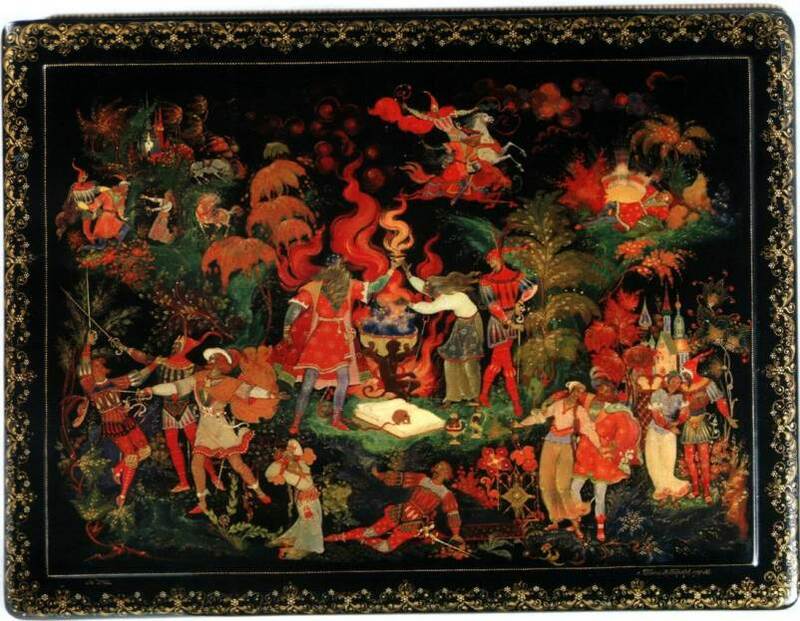 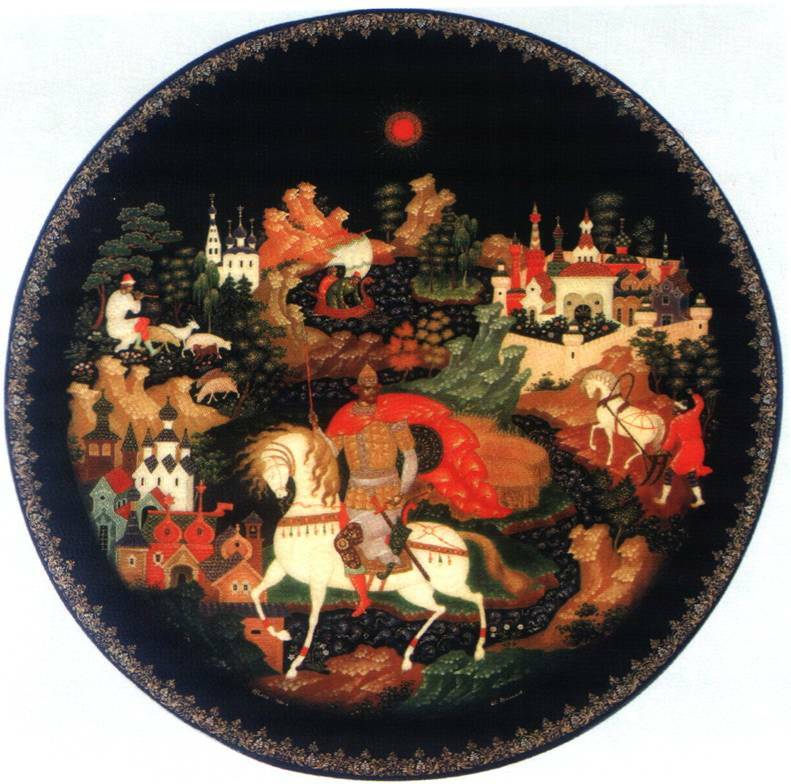 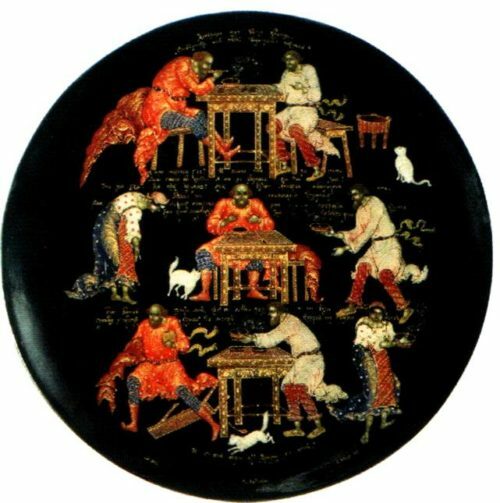 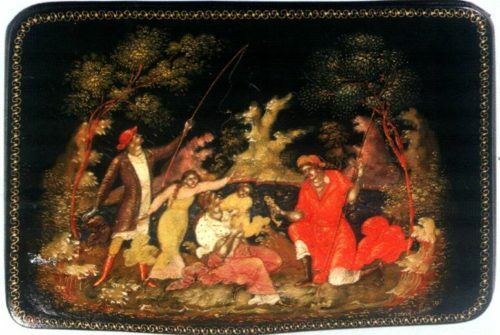 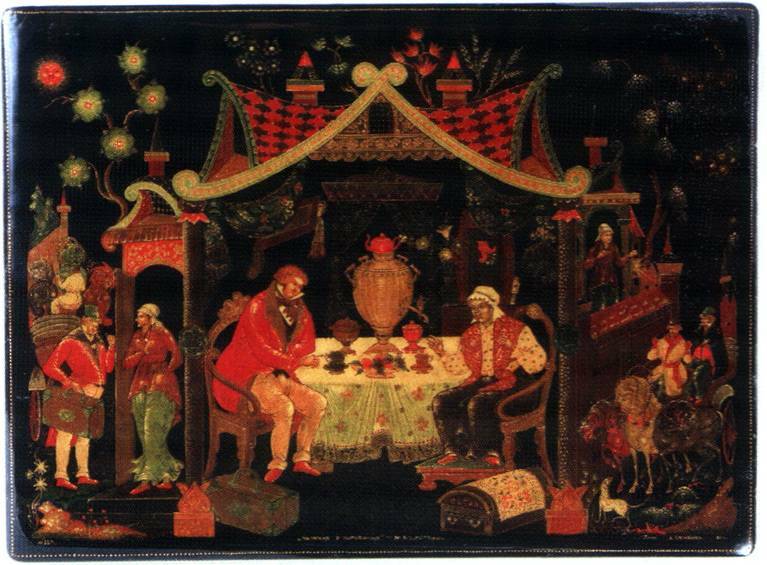 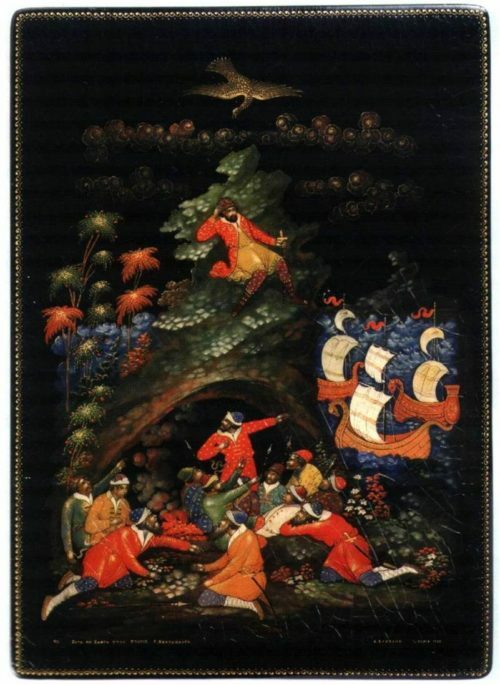 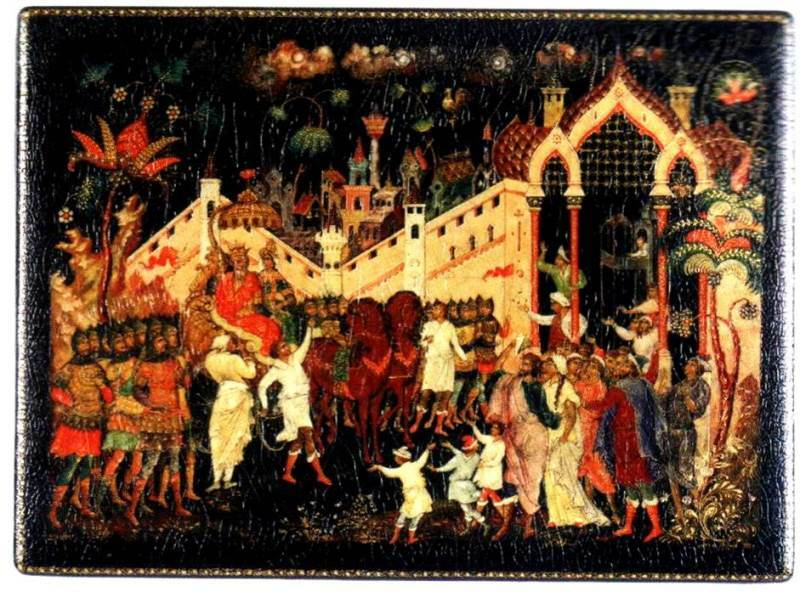 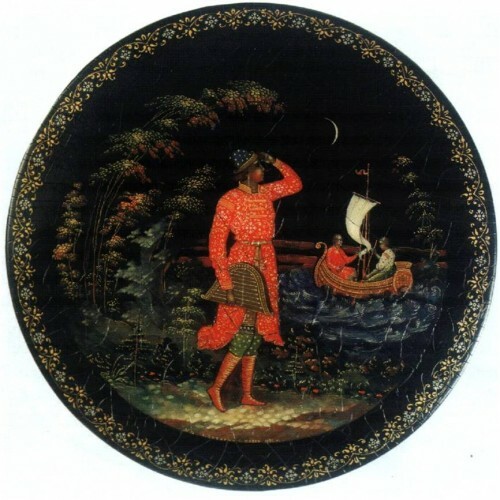 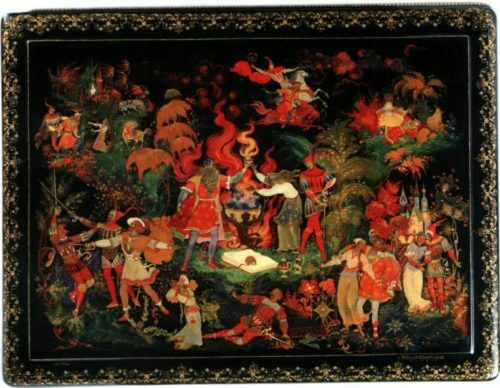 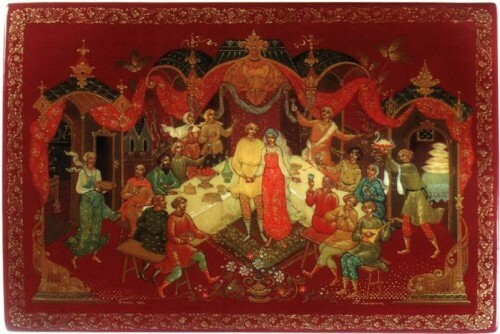 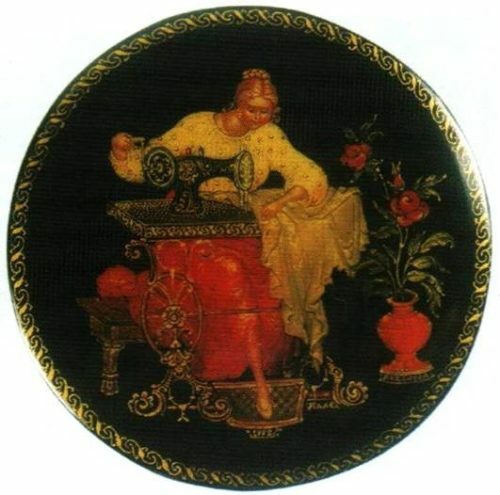 A typical household Palekh miniature is characterized by literature, folklore, historical stories, bright local colors on a black background, a thin smooth drawing, an abundance of gold, graceful elongated figures. Images can be enlarged. 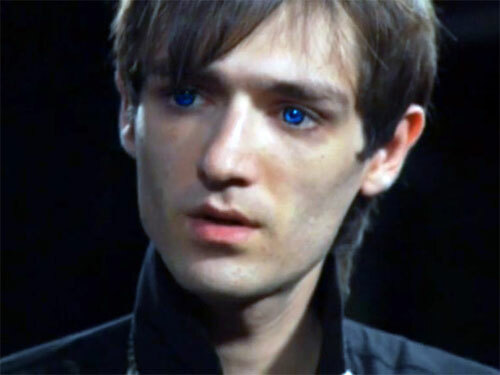 Battle. 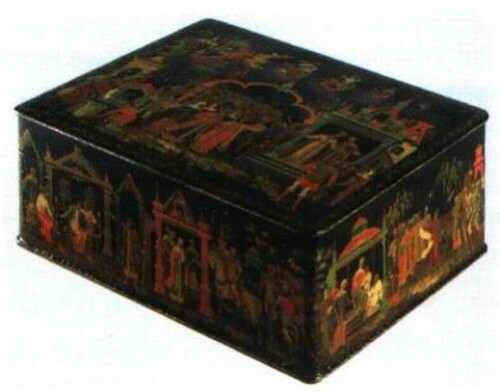 Cigarette case. 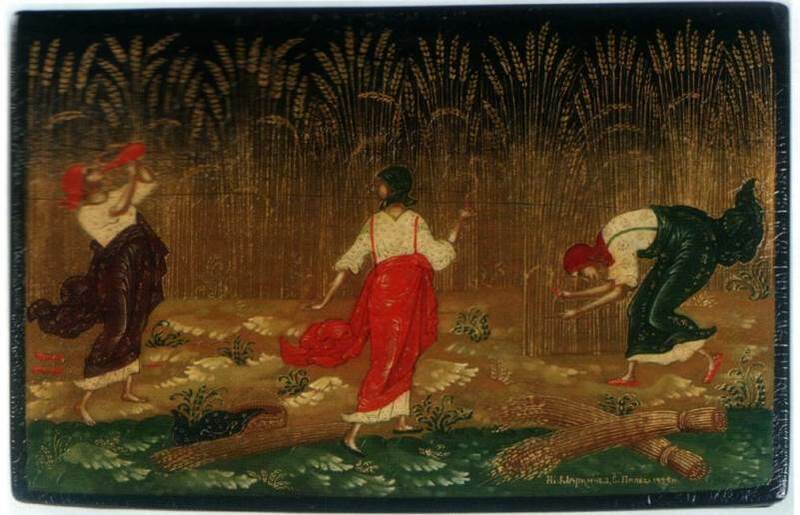 1930. 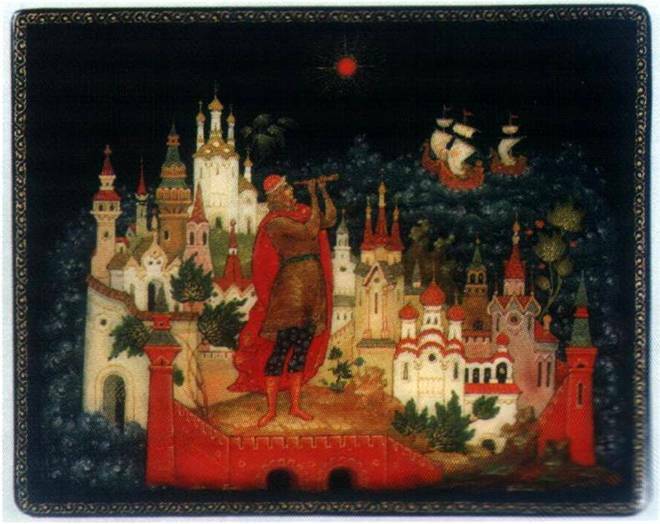 Honored Artist of the RSFSR Ivan Ivanovich Golikov (1886 – 1937). Tempera on wood, gold, silver, lacquer. 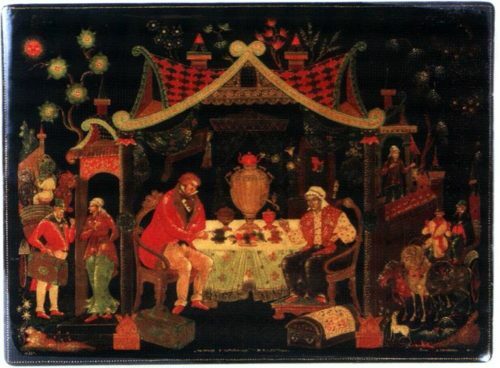 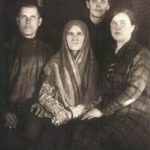 Bottom right – I.Golikov Palekh. 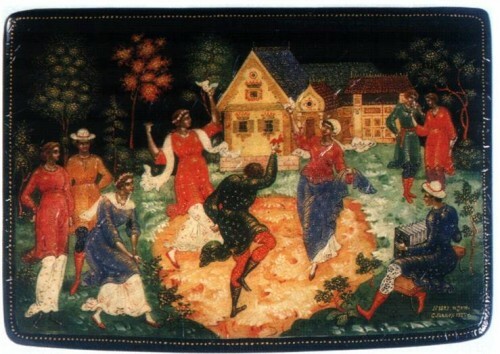 1930. Bottom left – Made in Russia. 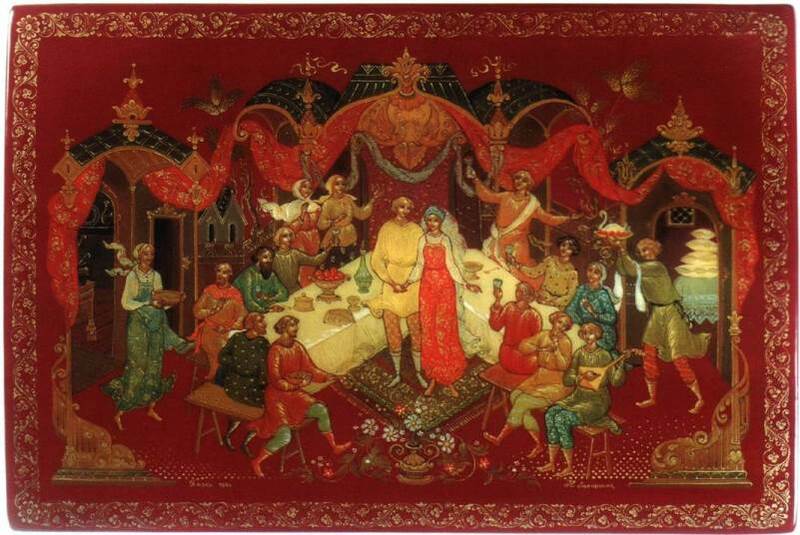 Association of Palekh artists in 1935.